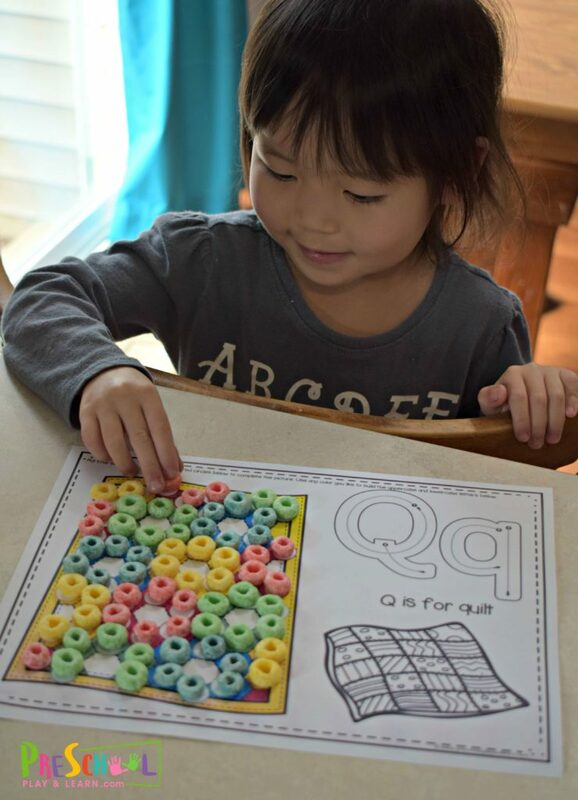 These Fruit Loop Alphabet Snack Mats are so clever! 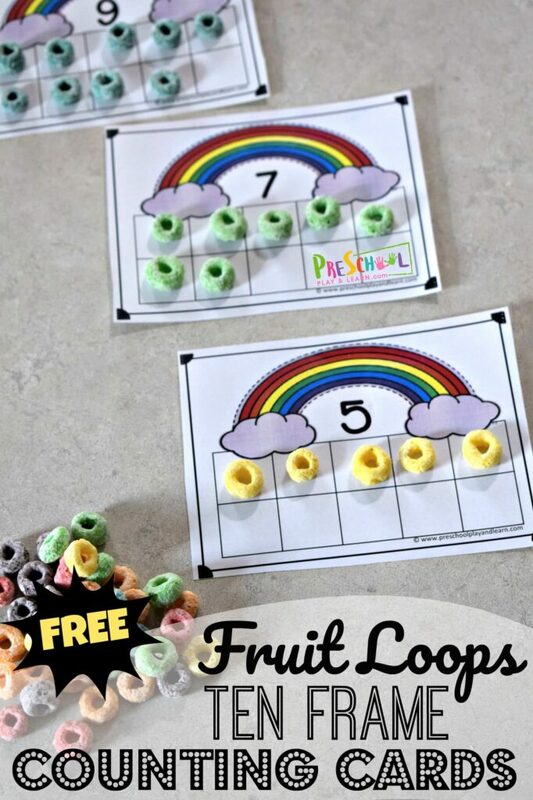 Kids will practice color recognition, pincer grip, and letter recognition with these free printable alphabet worksheets that are completed with fruit loops or skittles! Play, Snack, Repeat! 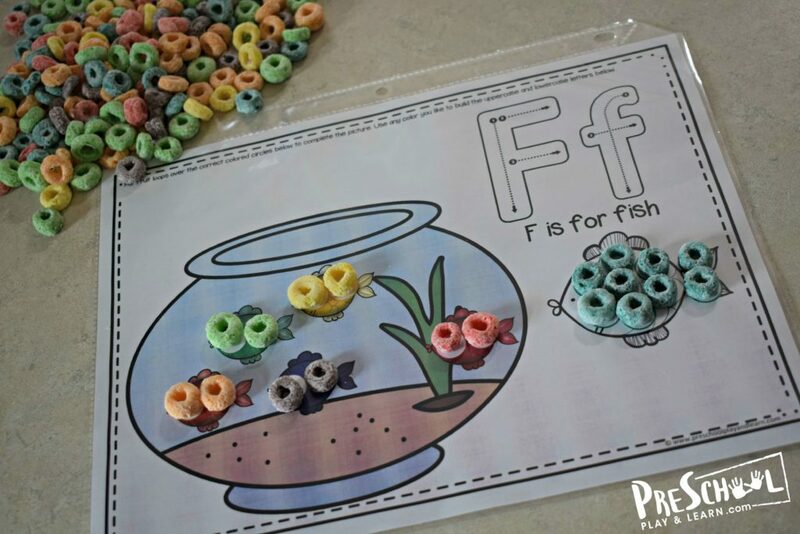 These super cute free printable alphabet placemats are such a fun way to help reinforce alphabet recognition, color recognition, and pincer grip all at the same time. 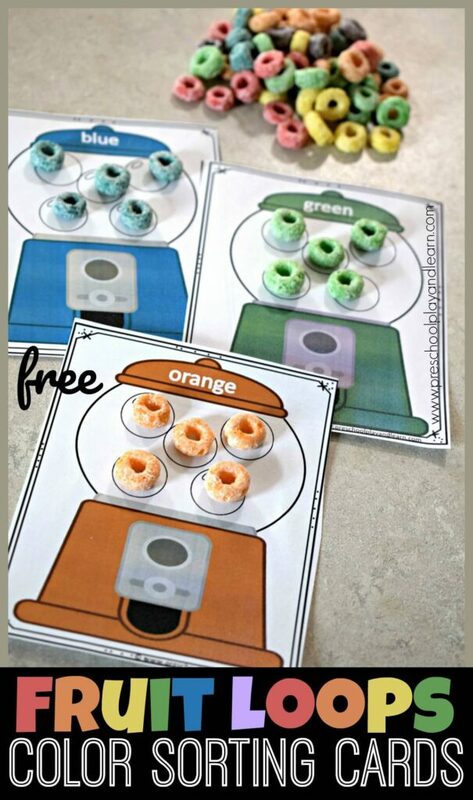 You will love this NO PREP preschool learning activity! Just print pages you want to work on from A to Z. 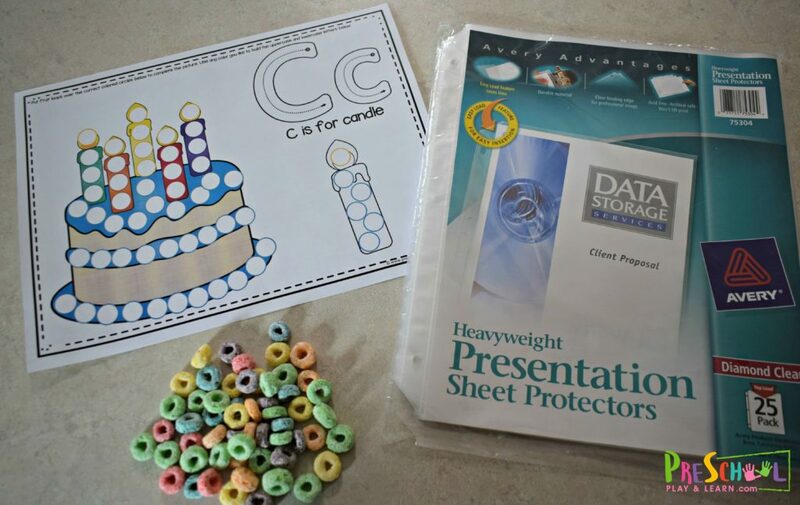 Now slip the alphabet printables into sheet protectors. This way you can use them over and over again. We like to slip our printable alphabet placemats in a drawer in kitchen to set out at snack time or for meal time. Not only will they add a little splash of color and some hands on learning, but also a way to keep kids entertained and engaged at the table. 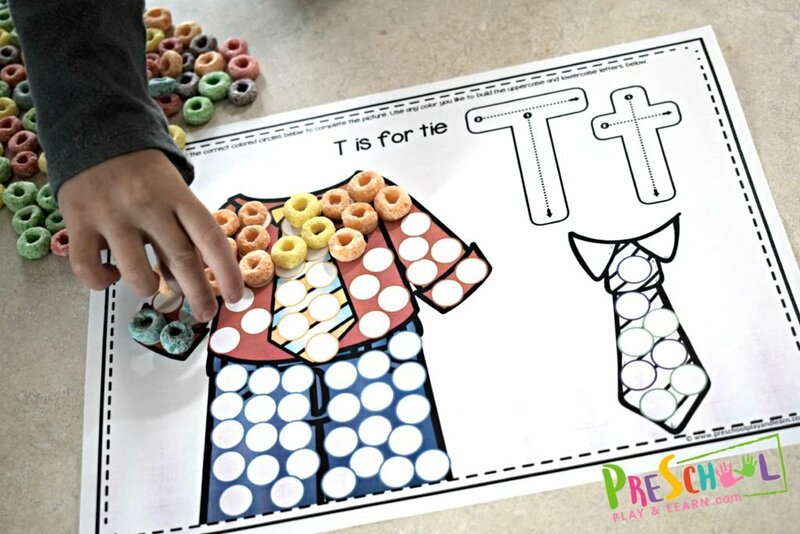 Toddler, preschoolers, and kindergartners will practice pincer grip while completing this learning activity. 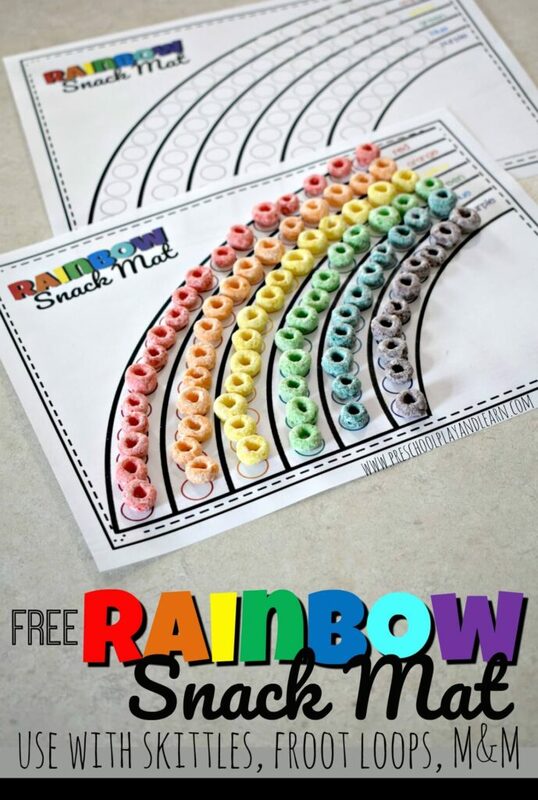 Simply use fruit loops, colored cheerios, skittles, M&Ms, or other manipulatives to cover the white spots with the correct color. After you fill in the color part of the picture with the correct color of fruit loops, students can decorate the black and white part of the picture too. 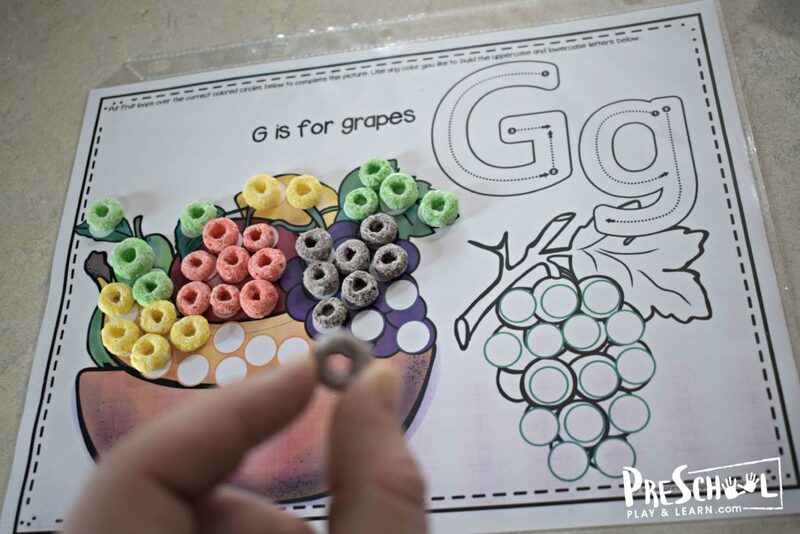 Next, have preschoolers practice tracing letters with their fingers or dry erase marker. Each uppercase and lowercase letters clearly state how to properly form the letters. 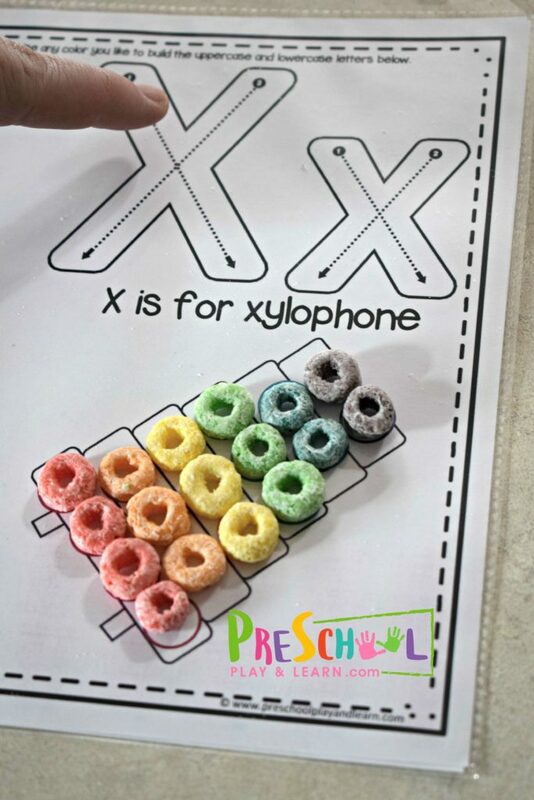 Then, read the simple “x is for xylophone” to them. 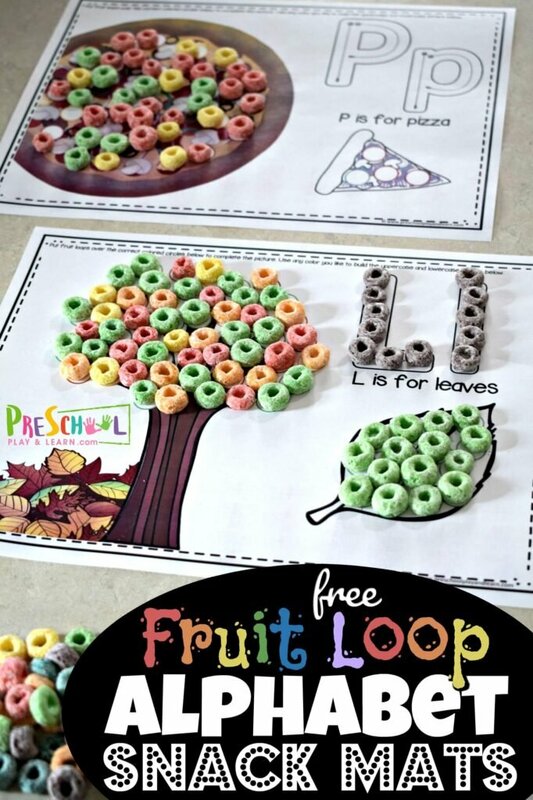 Finally, add in froot loops to make an uppercase and lowercase letters. 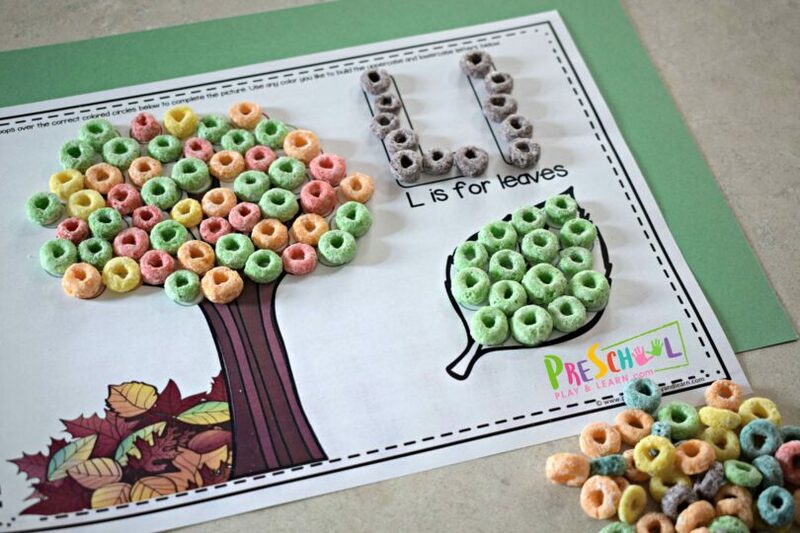 Kids will love the beautiful alphabet worksheet they create. 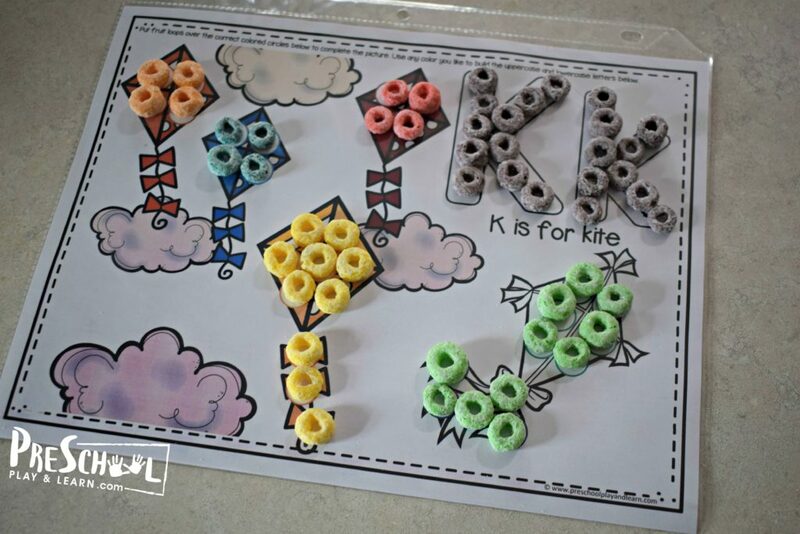 This K is for kite worksheet is a fun, hands on activity for learning colors and practicing color recognition. My kids had so much fun matching colors, completing their pictures, and then eating their snack at the end. 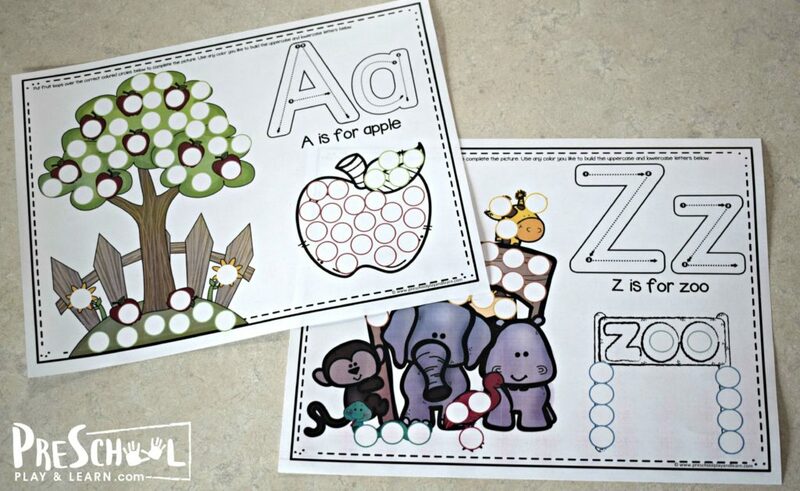 My kids had so much fun making these super cute and fun to complete alphabet activity. They were happily practicing pincer grasp for over an hour! Just sent to the email associated with your comment. Enjoy!